A two-vehicle crash in Antrim, New Hampshire, Saturday night resulted in two fatalities, police said. The accident occurred on Route 9 near the intersection of Route 31. 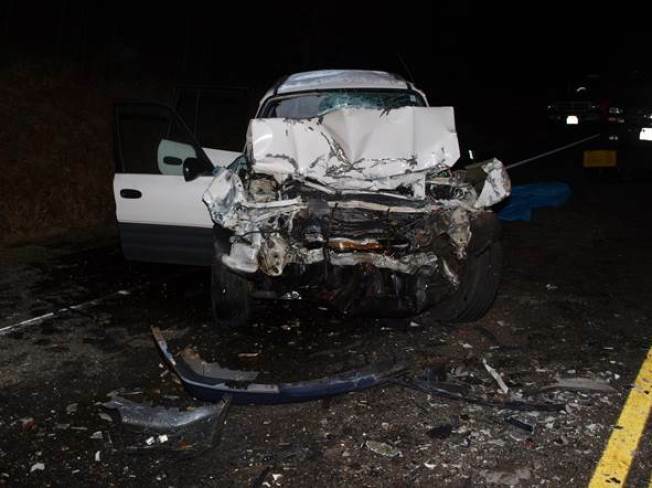 Authorities said 18-year-old Liam Flaherty, of New York, lost control of his vehicle, which then crossed over the center line, crashing head-on into another vehicle. The driver of the second vehicle, 67-year-old Janet Withington of Hillsborough, and her passenger, James Bouchard, 63, also of Hillsborough, were severely injured. Bouchard died at the scene and Withington died later after being transported to Dartmouth-Hitchcock Medical Center. According to police, Flaherty did not appear to have been injured in the crash. Drugs and alcohol do not appear to have been factors.